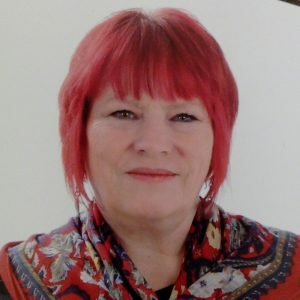 I am Jennifer Chamberlain, a funeral celebrant based in Newcastle upon Tyne. In the past, I have been a primary school teacher for over twenty years enabling me to hone my public speaking skills. I also have a BSc hrs in Psychology which has given me a great insight into peoples’ needs. I did not choose to become a funeral celebrant; it chose me, following many positive comments after giving eulogies for friends and relatives! I enjoy travelling, reading, watching Countdown and visiting my grandpuppy Jasper. I relish a challenge – my biggest to date is… I have just taken on an allotment. I have a great sense of humour which helps me through life. I love what I do and I would be so privileged if you choose me as your funeral celebrant; especially at this sad time. I am a good listener and public speaker who will deliver a memorable heartfelt funeral service for your loved one. You and your love one’s wishes are my priority! I will, in consultation with you and your family create a funeral service which I will deliver with dignity and love, to celebrate the life of your loved one. I will let you review the funeral script and give you a final printed presentation copy as a keepsake. …to collaborate with you and the family to produce a unique funeral ceremony that reflects your loved one’s life. I will capture their spirit to give you a memorable service reflecting their beliefs and values.